Struggling With A Weak Resume? The days of working for one company your entire career are long gone. The typical U.S. worker will hold about 10 jobs before they turn 40, according to the Bureau of Labor Statistics. And the youngest demographic of workers – millennials – are predicted to have between 12-15 jobs during their career, according to Forrester Research. With this rate of job change, having a clear and engaging resume is the key to getting interviews. But very few people have perfect resumes. Most people are dealing with one of a few common issues. It’s not unusual for new graduates to enter the workforce without a lot of real-world experience. Instead of trying to inflate the importance of jobs you do have, be honest about the level of your experience. Hiring managers will see right through any attempts to inflate your past job responsibilities and view it as a negative. It’s better to look at the jobs you’re applying for and highlight any applicable skills or experience you have that would qualify you for those jobs, according to an article on Lifehack.org. Help bolster your resume by including any relevant volunteer or freelance work you’ve done. Taking time off isn’t uncommon. Whether it was due to the rocky years of the recession or choosing to take care of a child or parent, many people have gaps in their resumes. The best way to approach this issue is to be open and explain your circumstances in your cover letter, according to an article on Lifehack.org. Explain what you were doing during that time and also include any career-related volunteer or freelance work you may have done. According to the article, only do this for the last five years. Your potential employer will probably be more focused on your current work history. But don’t be surprised if any older work gaps come up during the interview. Make sure you have an answer prepared to address your time off. Many people change jobs frequently, especially in the early years of their career. For millennials, 38% plan to leave their current jobs within two years, while 7% plan to leave soon, according to an article on Forbes.com. If you’ve changed jobs frequently to seek out new job opportunities, make sure you state that in your cover letter. This shows you’re proactive about building your skills, according to Lifehack.org. Don’t blame your job changes on a bad fit with a boss or co-workers – this only raises concerns about your ability to work well with others. Short stays of only a few months can be a red flag for hiring managers. Experts recommend only listing jobs that you stayed at for three months or more. 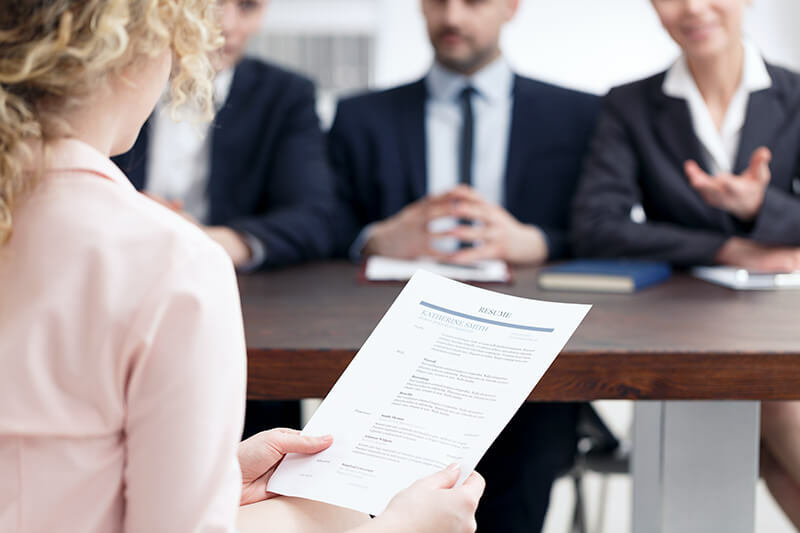 Help allay any concerns raised by your resume by being upfront about why you only stayed a few months at these jobs – whether it was due to a poor job fit or the company downsized. It’s always best to be honest about this, and even consider adding it to your cover letter to quickly address any concerns, according to an article on Lifehack.org. Don’t let a few common resume issues stop you from finding the right job for you. Address any issues in your cover letter or be prepared to talk about them more in an interview. Being prepared and honest about these areas goes a long way in working through any concerns a hiring manager may have.